Do you need some inspiration in order to go to the gym that can actually be effective in working out? 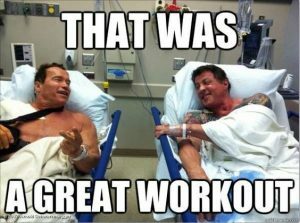 You may need to know some funny gym memes that will make you laugh and at the same time, will make you want to go to the gym. The memes may talk about the things that happen to people at the gym. The memes talk about the things that gym lovers think about when they cannot get close to the gym just yet. 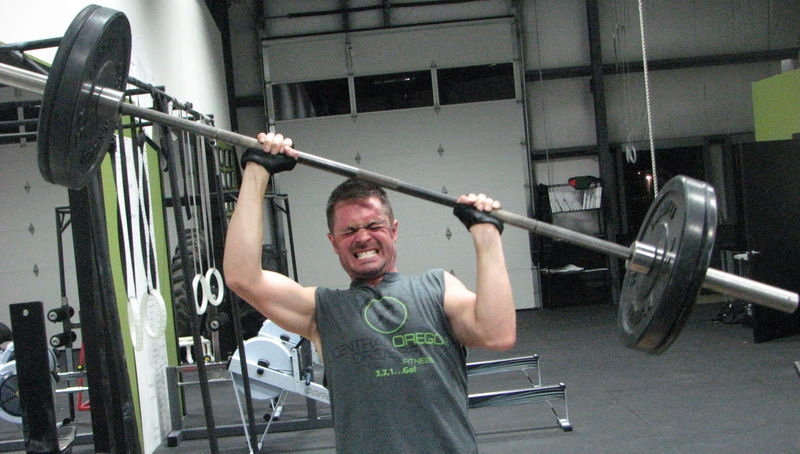 The memes discuss the funny ways that people use equipment at the gym. There is a good reason why there are a lot of funny gym memes available and this is because people are bound to make mistakes. There are just moments when the mistakes are captured through photos or videos. If you are looking for some memes that will make you laugh, then you can just look at the memes that will be posted below. Gym Meme 1: Great Workout Everybody! The fact that Stallone and Schwarzenegger are together in just one picture is already good enough but the one who made this meme is brilliant because you may never know what these two people are actually talking about. One thing is for sure; they are both known for having awesome bodies that people can only dream of getting. 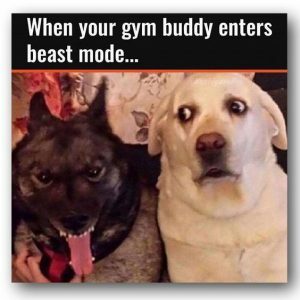 There are so many times when you would bring your buddy to the gym and you are expecting a great workout. Everything is going fine until your buddy starts becoming so energetic that it is already a bit weird for you. The dog’s face sums up the way that you may feel. 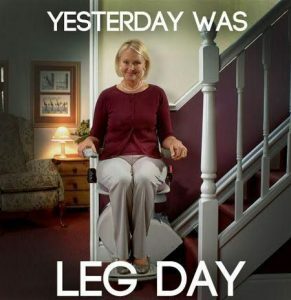 Gym Meme 3: Does Leg Day Hurt? You have to admit that it is sometimes hard to talk to your friends about the things that you do at the gym because they are not interested. They know that you lift but they do not want to go into detail about it anymore probably because you can go on and on about your workout. 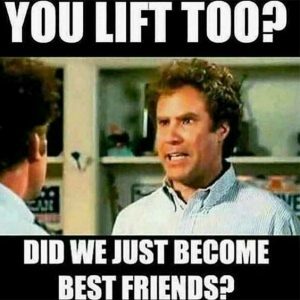 When you do meet someone who lifts, you can talk about things that you are both interested in all day long. 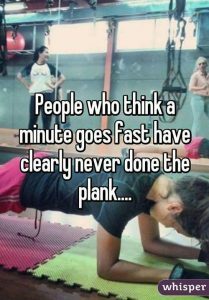 Gym Meme 5: 60-Seconds Plank, Now! There are some people who know that planking is one of the exercises that they would like to avoid whenever they go to the gym simply because it is very hard to do. This is essential though if you want to strengthen your core. When you first start to do this, you can begin with a 10-second plank then you can increase the number of seconds until you reach a full minute. 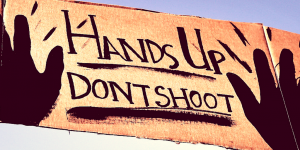 You will be surprised at the difference this can make. Have you ever gone to the gym just because a friend told you to go? If you have done this then you know that you should try the different machines. The treadmill is one of the machines that you may be most interested in. It may seem easy to use but if you have never liked exercising, it can be hell for you. 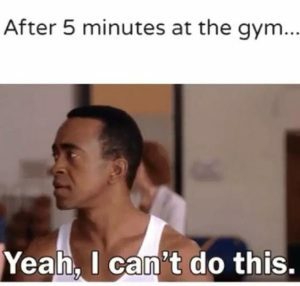 Gym Meme 7: Nope, I Can’t. This is one of those funny gym memes that you will come across all the time if you are searching for different memes online. This is exactly how you would feel if you have never liked going to the gym before. 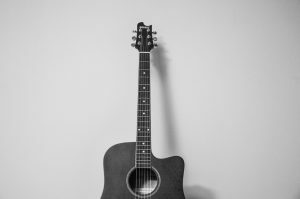 At the same time, this may inspire you because you want to stay longer than 5 minutes at the gym, especially if you have paid a lot of money for the membership. Gym Meme 8: My True BFF! 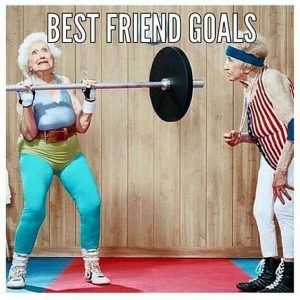 Can you imagine you and your best friend going to the gym even when you are old and gray? 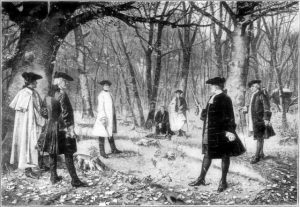 Of course, you do not have to dress up like women in order to do it. You can look at this funny meme to inspire you to do your best next time you train. 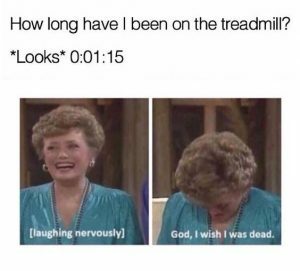 With all of the funny gym memes that you have seen, which one is your favorite?